Your Number One Choice in Carpet, Upholstery & Tile Cleaning in the Carletonville, Elsburg, Krugersdorp CBD and Muldersdrift Areas! Chem-Dry uses only the finest most powerful carpet cleaning equipment and propriety cleaning solutions to guarantee the best clean for your carpets and upholstery and a healthier home for you and your family. Our flagship cleaning solution, The Natural ®is green-certified, safe and non-toxic. It cleans more effectively than traditional steam cleaning while simultaneously having less negative environmental impact. Keeping your carpets cleaner and healthier has never been easier. Contact Chem-Dry Krugersdorp for convenient, efficient, expert carpet cleaning services. Welcome to Chem-Dry Krugersdorp. We offer top class professional carpet and upholstery cleaning services to Krugersdorp and surrounding areas. Our friendly and well trained carpet cleaning technicians are ready to assist you with cleaning your carpets, rugs, curtains, upholstery and even your bathroom tiles. Satisfaction is guaranteed as we will leave your carpets looking cleaner and renewed. Chem-Dry Krugersdorp is dedicated to giving your carpets and upholstery a deeper, longer lasting, healthier clean as well as providing exceptional customer assistance. Our combined focus on cleaner, healthier carpets and attention to personal service has ensured that Chem-Dry Krugersdorp retains its position as one of the best, expert carpet and upholstery cleaning services in the area. 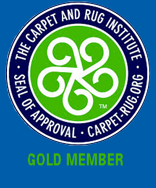 Our highly skilled carpet technicians are trained in identifying different types of carpet and upholstery fabric as well as in the best way to go about cleaning various surfaces. Our customers can rest assured knowing that the carpet cleaning treatment they receive will be appropriate and effective, without damaging delicate fabrics or fibres. Our non-toxic and completely safe propriety cleaning solution The Natural® combined with our patented and unique Hot Carbonated Extraction System of cleaning carpets can clean even the most delicate of area rugs, without the risk of colour fading or wicking. Chem-Dry’s Hot Carbonated method of cleaning is also ideal to use in bathrooms and kitchens to clean not only tiles, but also the grouting between the tiles and other small hard to reach places. We strive to keep abreast with the latest commercial and industrial Carpet Cleaning technology, offering our customers up to date cleaning solutions and an affordable service. 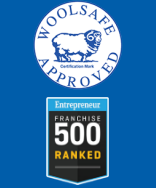 Currently Chem-Dry has over 4500 outlets globally and more than 50 franchise branches in South Africa alone. 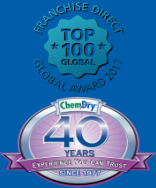 The success and world- wide recognition of Chem-Dry is based on 3 simple principles – our commitment to cleaner carpets, our outstanding customer services that offers only the best carpet cleaning solutions at affordable prices, and our speciality cleaning products that will effectively clean just about every surface in your home. Chem-Dry’s carpet cleaning methods also use much less water than traditional steam cleaning which greatly reduces the risk of promoting the kind of moist, warm environments that germs love. Your carpets and upholstery will look and smell fresher as they dry within a matter of hours. This patented and original cleaning technique also diminishes the probability of stains re-appearing. Carpets dry from the outer edges first and as they dry they draw moisture, and of course any un-removed stains, to the surface. At Chem-Dry however, we ensure that your carpets receive a deep clean right to the root of the fibre. 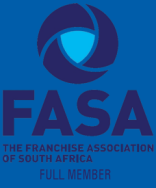 © Chem-Dry Southern Africa | All Franchises are Independently Owned & Operated.